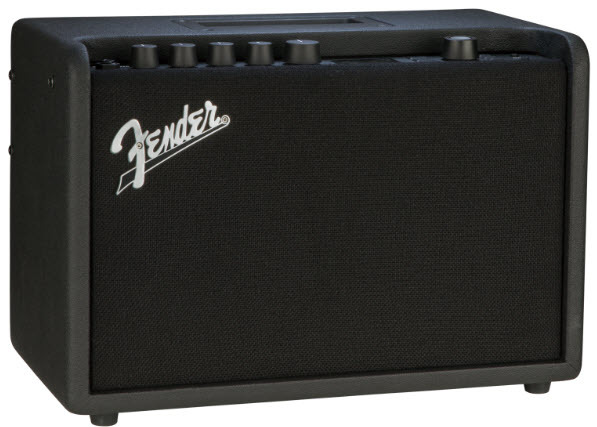 The world’s best selling amps are about to get even better. The Fender Mustang series is now the Mustang GT, or Generation Three, series. Three new models, the GT 40, GT 100, and the GT 200. 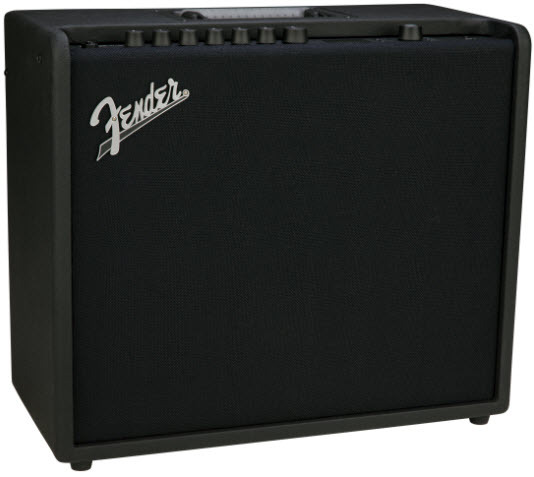 The GT 40 is 40 watts with 2 6.5 inch speakers and is perfect for home, studio, or practice use. 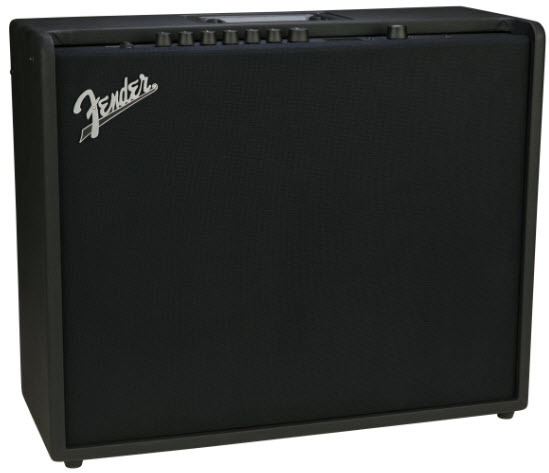 The GT 100 is 100 watts with one 12 inch speaker and is perfect for rehearsal or smaller gigs. 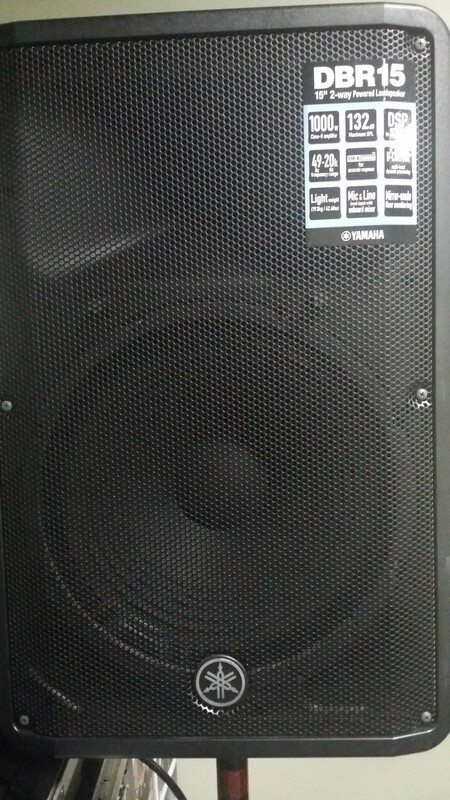 The GT 200 is 200 watts with 2 12 inch speakers and is the perfect all around gigging amp. The GT’s are the world’s first Wifi enabled amps. 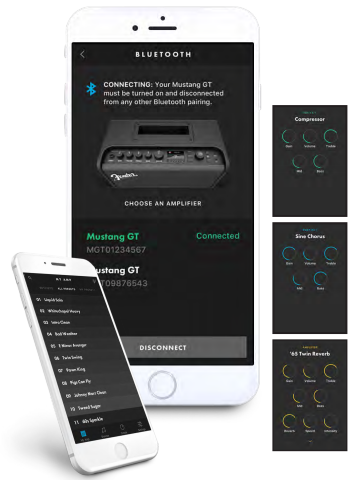 This makes it easy to download updates and connect to Fender’s digital ecosystem where you can store your presets, download new presets from other users, download presets from Fender artists, or control your amp using Fender’s Tone app from your smart phone or tablet. 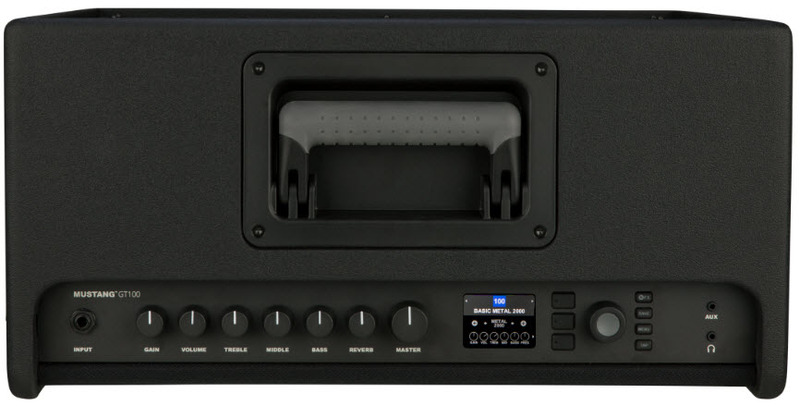 The amps are also Bluetooth enabled allowing you to stream music from your Bluetooth device and use it as a digital entertainment center or to play along with your favorite songs. Want to record? Just plug your GT into your computer via USB and record directly to your DAW. Stop in your closest Willis for a demo today! nah, don’t “beware the Ides of March,” let’s jam on March 15th! In fact, it’s 2 days before St. Patrick’s Day – we can all play “Sweet Molly Malone” and other standards, along with any other music that you would like to perform. So come on out to the Willis Music Open Mic Night – Wednesday, March 15th from 6-8 PM. It is in the studio/stage area which is immediately to the left as you walk through the door. Also, if you’re needing sheet music to bone up on your Irish Folk classics, Willis has you covered! 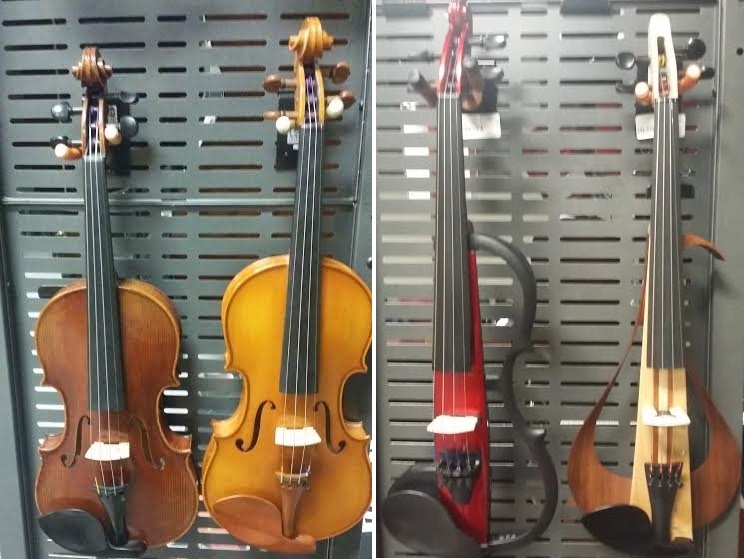 Willis has everything you need musically – new and used instruments, instrument repair, sheet music, audio accessories, etc… – they have it! Stop in, tune up, warm up your vocal cords and picking fingers and we’ll make some beautiful music on Wednesday, March 15th from 6pm to 8pm. See you there!!! 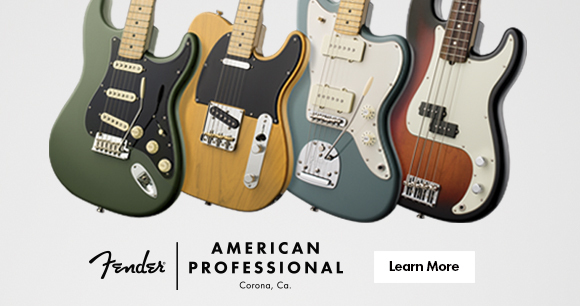 The New Fender American Professional Series is Here! 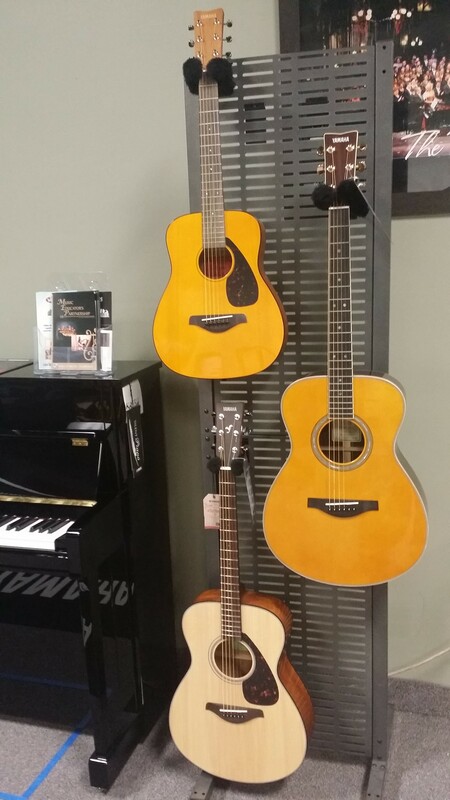 The new Fender American Professional Series is here! We’ve got them in stock at our Florence store and coming soon to our other locations. WELCOME TO THE NEXT CHAPTER! Simply put, pickups are the heart and soul of an electric instrument’s voice. The American Professional series features our newest pickup offering: V-Mod single-coil pickups. Updated versions of our classic designs, modified for modern performance, V-Mod pickups are packed with authentic Fender tone. V-Mod pickups, and the newly redesigned ShawBucker™ humbucking pickups are voiced specifically for each position, bringing out the nuances of your playing. NEW MODELS We’re excited to add three new models to the American Professional Series: the Tele®Deluxe, Jazzmaster® and Jaguar® guitars. 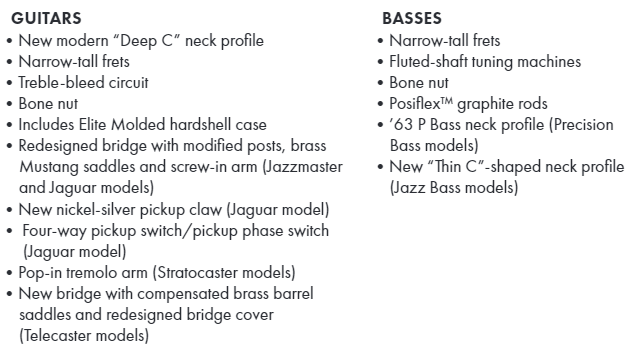 The left-of-center Jazzmaster and Jaguar models are particularly prized for their unique style, feel and flexible control schemes. NEW COLORS Three new colors—Sonic Gray, Mystic Seafoam, Antique Olive—are joined by the revival of a true classic, our instantly recognizable Butterscotch Blonde (available only on Tele models). Check out the videos below and stop in and check them out! https://willismusic.com/wp-content/uploads/2018/05/Willis-Oval-and-Piano-Logo-2.png 0 0 Michael Elam https://willismusic.com/wp-content/uploads/2018/05/Willis-Oval-and-Piano-Logo-2.png Michael Elam2017-01-05 16:31:162017-01-05 16:31:16The New Fender American Professional Series is Here! 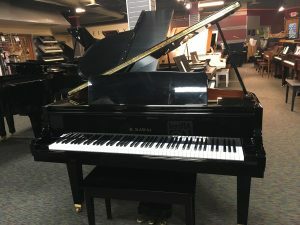 Excellent Condition Kawai GM-1 Baby Grand Piano. 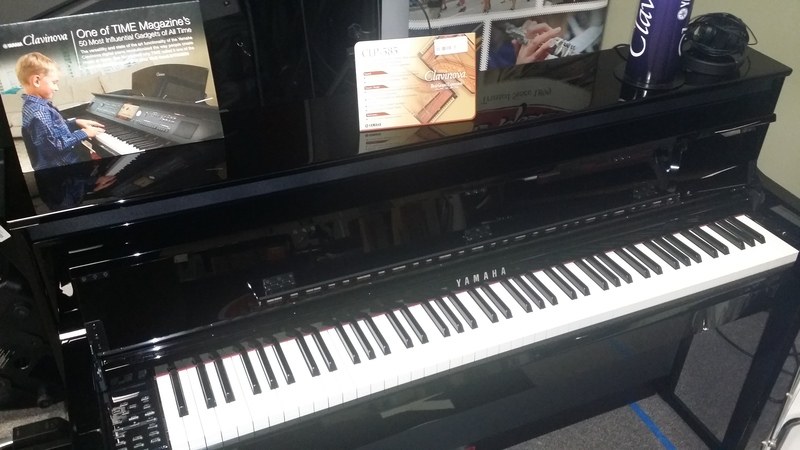 Built in 1994, this 4’9″ piano is a great entry level grand piano. It is a high polish ebony in immaculate condition. This piano has seen very little playing time, and is a great apartment size grand piano. Comes with a matching bench. 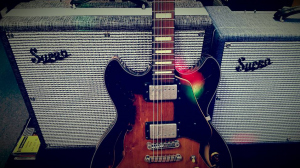 LEARN ALL ABOUT THE SUPRO AMP. Wills and Moeller Music proudly welcome Supro Amps to our West Chester and Lexington stores. These legendary amps are a tone freak’s dream. they are small, compact, low wattage, class A tube amps that deliver a huge sound. For those of you that have never heard of Supro all you need to know is that you have heard them, even if you didn’t know it. These are the amps that legendary Chicago blues players used in the 50’s and 60’s. 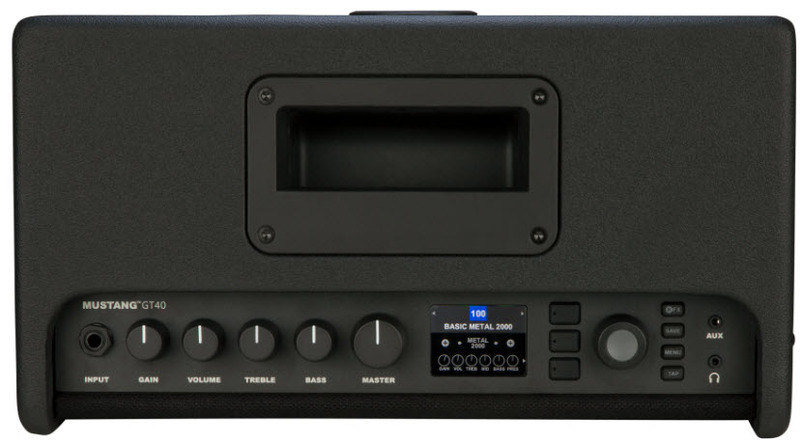 They were originally low cost amps that were work horses and were everywhere. Their unique circuitry allowed them to achieve a great tone that was utilized by great players like Jimi Hendrix, Link Wray, David Bowie and Dan Auerbach. The most famous user however was Jimmy Page of Led Zeppelin. In 1968, Page used a Tele plugged into a customized 1 x 12 Supro combo amp to record all of the guitar parts on Led Zeppelin’s debut album. The solo to Stairway to Heaven was played on a Supro. The great irony is that Supro went out of business during that same year! Supro was reborn in 2013 and now you can achieve that same great tone. The signature element of a Supro amp is its “Class-A” power section, which maintains remarkable clarity and dynamics when overdriven. This gritty mid-range sound is the original alternative to Fender… you could call it “the other white meat” of classic American tone! Every element of our Supro reissue amps has been designed from the ground up to bring this long lost, holy-grail amp to musicians at a working players price. The Blue Rhino Hide tolex was specially made, the cabinetry is vintage-correct, the speakers are totally unique, the transformers are custom and the sound is 100% authentic Supro. Supro reissue amps are hand assembled in Port Jefferson, NY, USA. I plugged an American Elite Fender Shawbucker Strat into the Saturn Reverb the night they came in. No effects, just guitar, cable, amp. I plugged into the 1+2 input, turned on a bit of reverb, and turned it all the way up. With the bridge humbucker selected instantly I had that classic ‘Whole Lotta Love” tone. Even with the volume on 10 though it was loud but comfortably loud. The kind of tone that if you put a SM57 in front of it you’d have all the amp you will need. Loud enough for you to overcome the drummer on stage for you, but still not ear splitting and workable for a sound system. Back the volume off on the guitar and switch to the neck single coil, and you get the perfect blues tone. 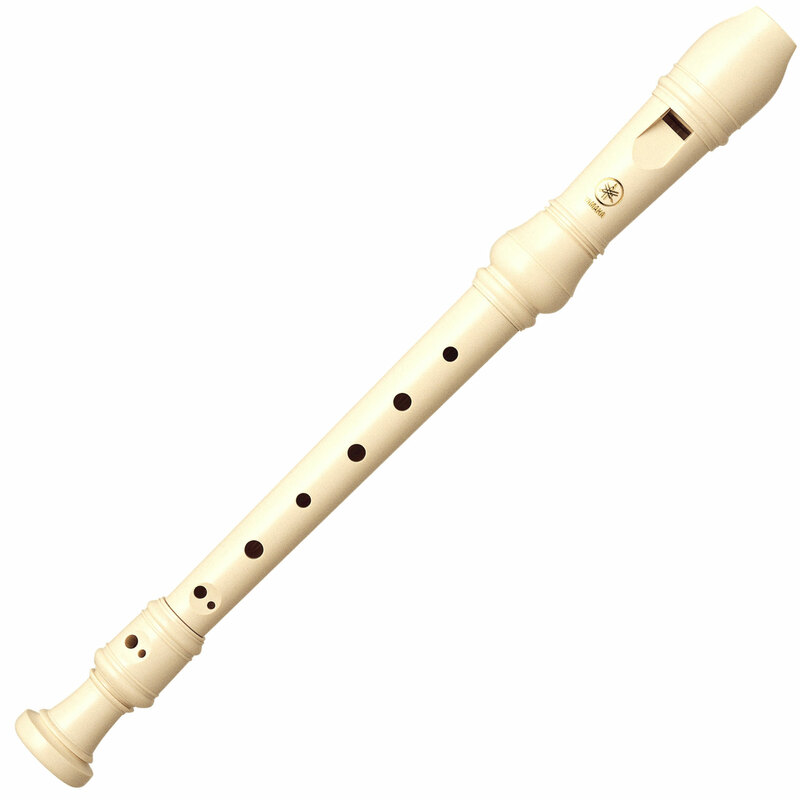 play lightly its as clean as a whistle, play hard it breaks up nicely and sings. I plugged a couple of different overdrive pedals In and achieved the same kind of tone at a lower volume. I added a phaser to the mix and just fell in love. A tele plugged into it got that nice Brad Paisley like tone. Stop by and try one out with your favorite guitar and effects today. Celebrate Local Music in Lexington, KY for Make Music Day, this coming Tuesday, June 21, 2016. 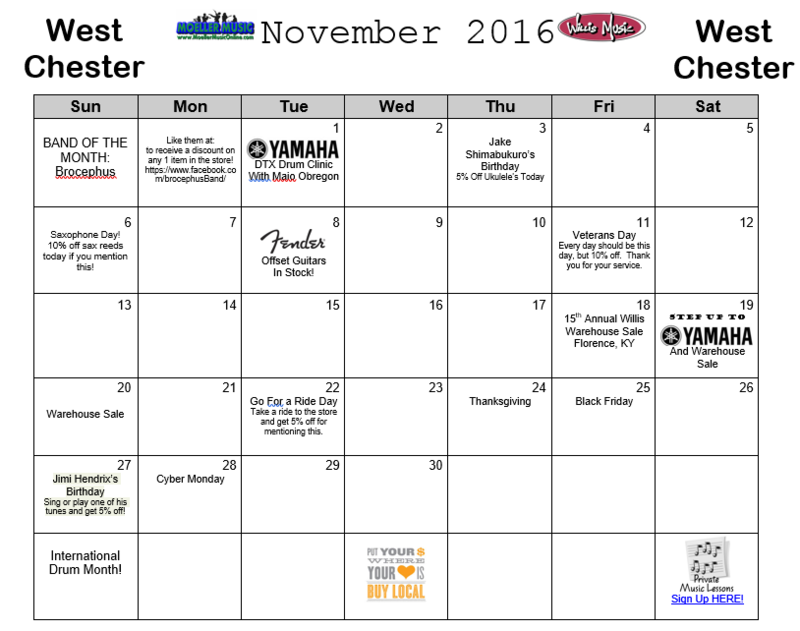 Visit Willis Music Lexington where we will have local musicians performing from Noon to 8 p.m. Plus we have invited other local musicians to come and sell their merchandise (cd’s, gear, etc.). 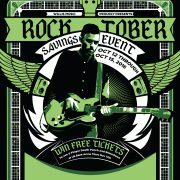 It’s going to be a great day to support local music and build new relationships within the Lexington music community. 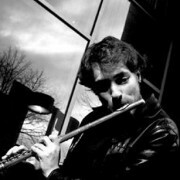 Also, come join in a jam session at either 1 p.m. or 4 p.m.
Make Music Day is a celebration of music around the world that began in 1982 in France and now takes place in more than 120 countries. 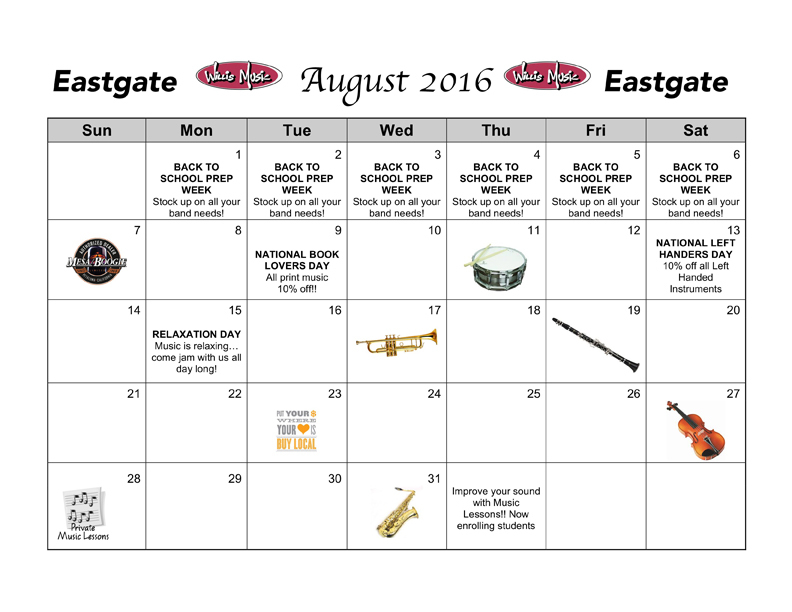 Store Hours are 11 a.m.-8 p.m.
Jam Sessions at 1 p.m. & 4 p.m. 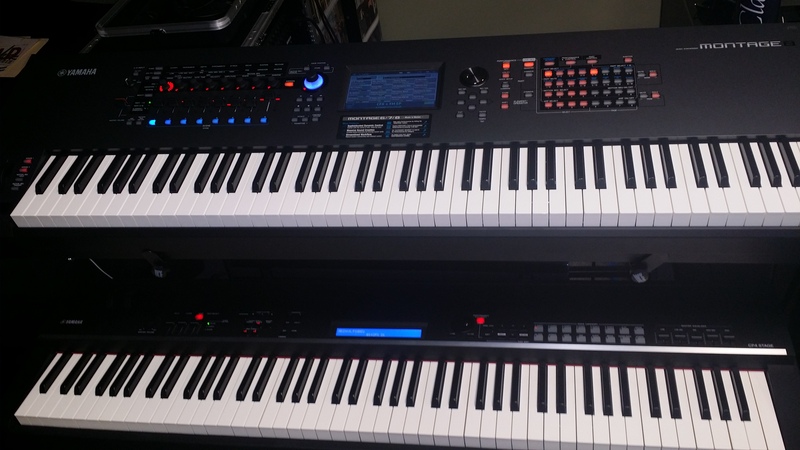 Extra 10% OFF storewide instruments & gear already on sale. A total savings of 20-40%! What’s kept us going for 117 years? 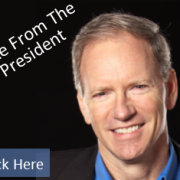 https://willismusic.com/wp-content/uploads/2016/03/NoteFromThePresident.png 235 313 Bill Phipps https://willismusic.com/wp-content/uploads/2018/05/Willis-Oval-and-Piano-Logo-2.png Bill Phipps2016-03-31 14:51:552016-04-13 09:11:03What’s kept us going for 117 years? Flute Player Sidelined with Concussion! OK, so I did a google search for this seemingly ridiculous headline and found nothing so I made it up. 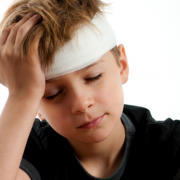 Concussions have become a serious concern in sports and I’m pleased the subject is getting it’s due attention. But what I want to talk to you about is what always seems to be the topic when it comes to budget problems in our schools. When cuts are made do we cut band or sports. Unfortunately many times band seems to get the short end of the funding stick. This article points out what most of us have known for years. Involvement in music is vital to the total education of our children. I know you will enjoy the article as I did and I wish each of you a Merry Christmas and Happy Holidays. Football or Music? What’s the Best K-12 Investment? In a perfect world, all high school activities would be fully funded. But to educators struggling to find the financial means to establish and pay for educational priorities, it is clear that we do not live in a perfect world. Today’s schools are subjected to growing pressures from increased academic standards and the expectation that they will provide all of their students with an education worthy of the 21st century. These demands must be met, moreover, in a climate of sharply declining resources. The world is changing at breathtaking speed, and the challenges inherent in responding to that change are daunting. So, too, are the economic stresses on schools. All that being the case, communities and school boards have to be more open, honest, thoughtful, and strategic in considering how to allocate scarce educational resources. When program cuts are necessary, priorities must be set and difficult choices made. Traditionally, one choice has been between fielding elite athletics programs and maintaining enriching programs in the arts—with the arts usually being the first to suffer. Because the challenges and funding gaps for schools will only increase, such decision making will become more and more difficult. Which activities produce the best educational return on investment? And the first principle in making such decisions should be clear: We can no longer afford to sponsor activities based only on anecdotal evidence of benefit, or simply because we have always done so, or because a particular activity’s “lobby” screams the loudest. The decisions also must be made with the recognition that the American economy has changed from one based on industrial might to one driven by technology, creativity, collaboration, and innovation. Simply put, every issue the nation faces, whether relating to health care, the environment, or geopolitics, bears the stamp—and holds the complexity—of an increasingly fast-paced and interconnected world. There is no way to effectively meet the challenges wrought by change and complexity without developing in our people greater creativity, social adaptability, and the ability to think more broadly and with greater depth. What does this mean for decision making on priorities and funding? First, we must rethink the criteria we use. For too long, educators have relied primarily on personal experiences and anecdotal evidence in making decisions about extracurricular programs. That is no longer enough. Decisions must also be driven by fact, data, and research. Fortunately, there is a growing research base on the impact of both football and music on student learning and engagement, brain function, academic environment, and health (both individual and public) to draw on. (because it is the arts-program component with which I am most familiar). The purpose was clear and simple: to present a thoughtful, thorough, and clear-eyed assessment of the relative value of football versus music programs in providing students with learning experiences most suited to the 21st century. As a life-long athlete and musician who believes in the power of both sports and music to change people’s lives, this investigation has been a long and, at times, disconcerting journey. But here’s where my experience and the data have led. But from there, the similarities mostly end. When considering the broadest impact on education over the longest period of time, music programs are far superior to football programs in return on dollars invested. Consider music’s pluses: the capacity to be a lifelong participatory-learning activity (football, for all but a select few, ends after high school); the fact that music is a universal language (football is uniquely American); its gender inclusiveness; a far lower cost-per-student ratio; the potential it offers as an essential platform for international and interdisciplinary studies; and its effectiveness in strengthening the brain’s neural activity and development (versus the possibility, if not the likelihood, of sustaining brain trauma). Finally, the effectiveness of sports as an educational tool has been steadily diminishing as athletic programs have become more about the end result—winning—and less about the process (learning). Given contemporary social and economic realities, many have questioned the wisdom of continuing to teach with curricular offerings and methods more suited to the industrial needs of the 20th century. Would it not also be wise to question the activities we sponsor at schools in light of current needs? Are we sacrificing in budget battles and narrowed thinking the most effective tools in our educational arsenal for teaching creativity? I believe we are. Music produces results much more in sync with a creative, information-based global economy and world community. This is not to say that football does not have a place in our society. It does. Rather, the question is whether that place should continue to be within our education system. In the end, the dialogue about these funding decisions must be more thorough, reasoned, honest, and data-driven. With increased expectations and decreased resources comes a smaller margin for error. We have to make every dollar count. When dealing with the programs and activities that add so much to the human dimension of learning, we need the courage and commitment to go where logic, truth, Visit Opinion. and data take us. Despite the fact that some of the answers to our sports-versus-arts conundrum may be uncomfortable or inconvenient, educators should welcome the discussion. If we approach it honestly, the end result will be better schools, serving our children and communities more effectively. Isn’t that what we all want and what our nation needs? John R. Gerdy is the founder of the nonprofit educational organization Music For Everyone, in Lancaster, Pa., and the author of Ball or Bands: Football vs. Music as an Educational and Community Investment. He can be reached at JohnGerdy.com. https://willismusic.com/wp-content/uploads/2015/11/kidheadinjury.png 538 807 Kevin Cranley https://willismusic.com/wp-content/uploads/2018/05/Willis-Oval-and-Piano-Logo-2.png Kevin Cranley2015-11-30 11:47:412015-11-30 12:12:21Flute Player Sidelined with Concussion! PROJECT Trio is a passionate, high energy chamber music ensemble comprised of three composer/performers from Brooklyn, New York. Blending classical training with an original sound and masterful performing skills. PROJECT Trio engages audiences of all ages by combining classical repertoire with elements of hip-hop and popular music, bridging the gap between high art and pop culture. They have been viewed more than 80 million times on YouTube and have been featured on NPR, MTV, and have played along side the St. Louis Symphony, Los Angeles Chamber Orchestra and schools across the country. 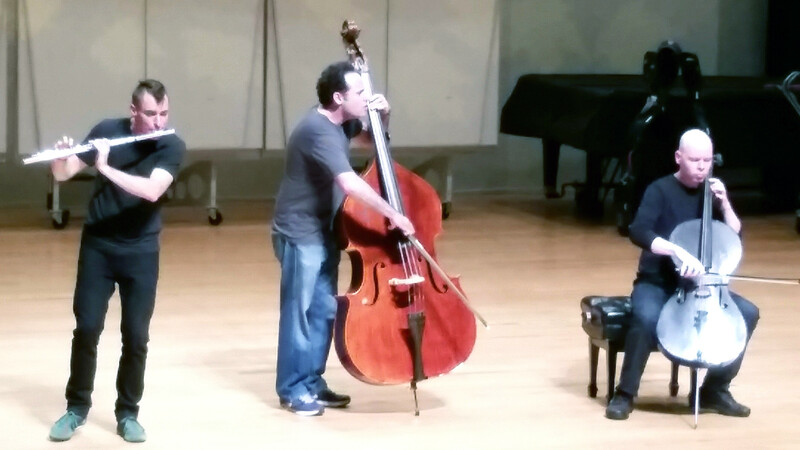 It was our pleasure to host PROJECT Trio last week at CCM, NKU, Winton Woods High School and Walnut Hills High School. They bring with them the importance of music education as well as stories of their many experiences. 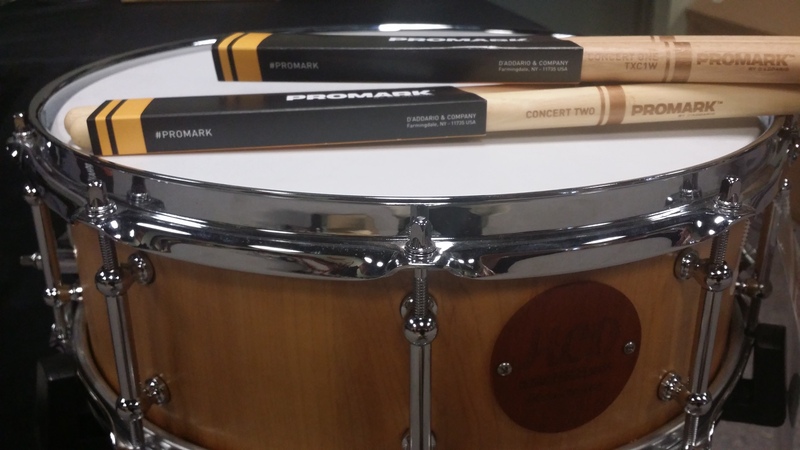 With the help of Gemeinhardt we gave a flute to both high schools and did a drawing for a piccolo at both CCM and NKU. We want to congratulate all the winners and thank PROJECT Trio for two days of great music, great ideas and a lot of fun! Thanks for listening and CHECK THESE GUYS OUT! I recall last year talking to a customer who has marked this sale on her calendar for years to come. It’s always the weekend before Thanksgiving. She thanked me for keeping this tradition going and said this is the one sale she looks forward to each year. In a world where sales, discounts or even free items don’t mean that much anymore, it’s good to know that people appreciate this sale for what it is. It all started 14 years ago when we were trying to find an innovative way to get rid of older scratch and dent items and discontinued products. We thought we would try having a sale at our main warehouse in Florence. My Father built this building in 1969 and it was later expanded. From here we manage all our stores and our publishing business, which is international. Over the years the sale has expanded, but the concept remains the same. We did have some difficulty early on because the industrial park we are in did not allow sales to retail customers. We had to get special permission but now after 13 years I think the other members of the industrial park look forward to the sale. 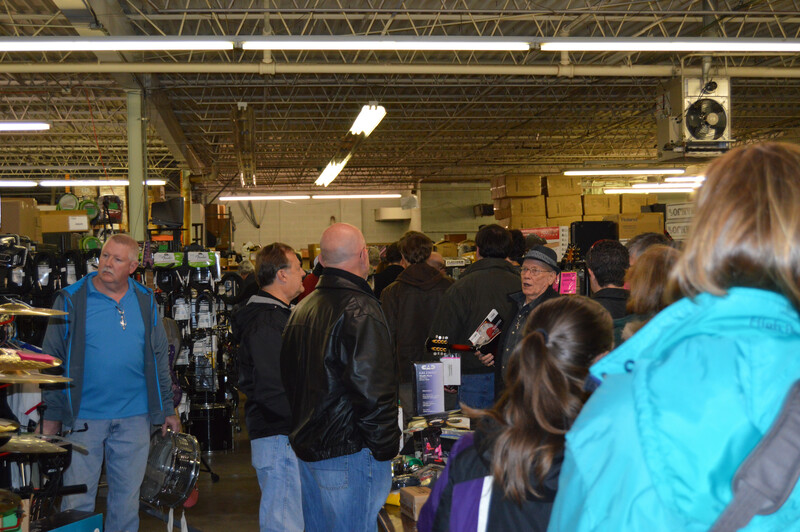 This year the merchandise for the sale includes not only pieces from our stores, but from manufacturers who recognize this sale as an opportunity to move items they have sitting around. Just last week we received 8 skids from a guitar and accessory manufacturer. We have merchandise from music stores that we bought or stores that went out of business. 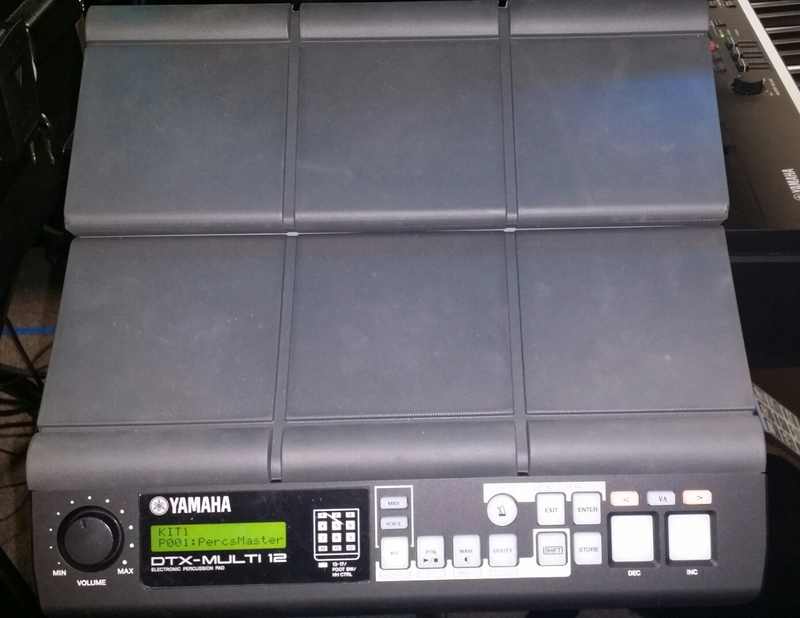 We have band instruments from our rental program that we have taken out of our rental pool. 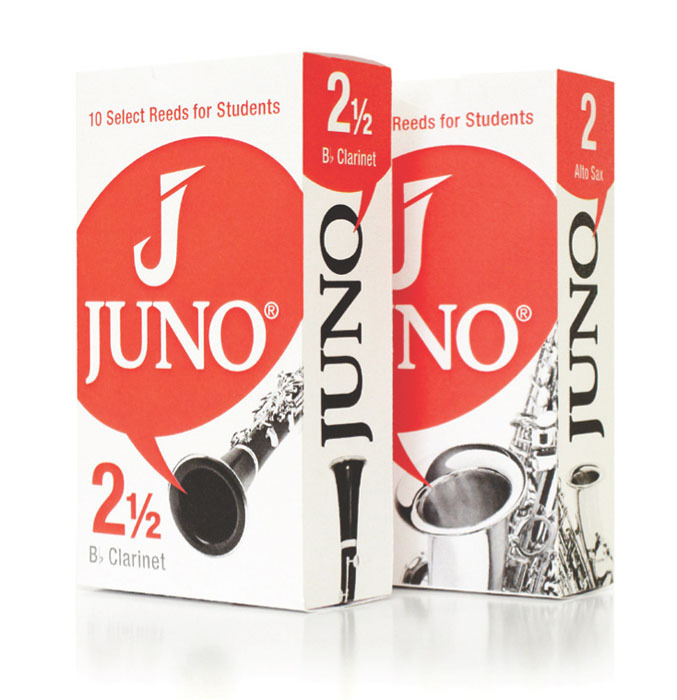 One particular band director from Indiana comes in each year to replenish his inventory for his students. He buys instruments with small dents or cosmetic problems and fixes them up himself. Last year we added free hot dogs and drinks on Saturday, we’ll repeat that. Many of you have been here before so you know to park around the back of the building and come on in. I’ll be there and look forward to seeing many of you. 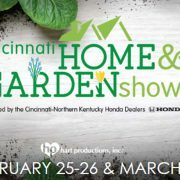 Click here for details or call 859-283-2050. Take a look at some of the pictures and videos from last year. Say hello to Judy, she loves getting away from her desk for 3 days. The deals are so good that Willis Employees and Teachers make time to find some deals. Anna Marie loves this sale so much we have to bring her lunch to her. Don’t miss out! Be one of these people. Here at Willis Music we are always excited to add new teachers to our education program. Here are a few of our teachers to consider when choosing the teacher that is right for you. 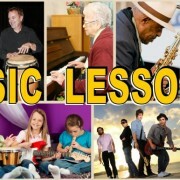 To sign up for lessons now, click here. To sign up for lessons with Jason, click here. 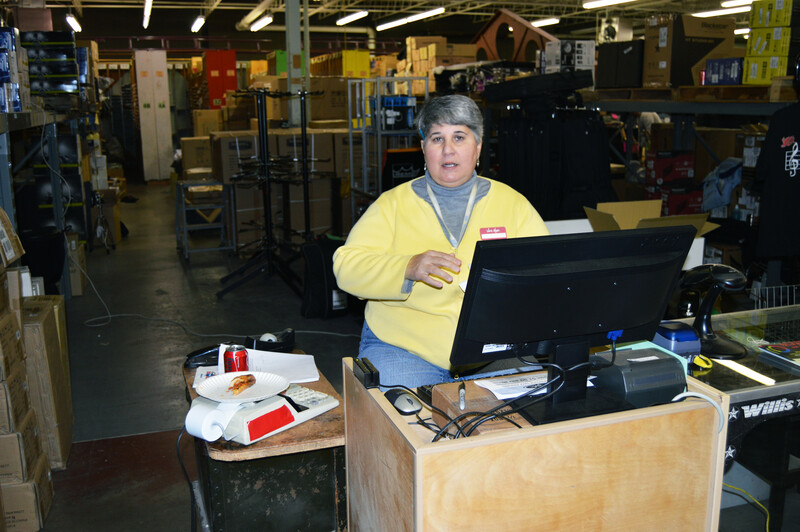 Deborah is a great find here in the Lexington location. Here experience really speaks for itself. “Hi, I am Dr. Deborah Hodge, and though I have resided in New York for about 25 years, I am a native of Lexington, Kentucky. I am a certified music teacher and I recently relocated back to Lexington after teaching music in New York for a numbers of years. I also taught music for approximately 10 years in the Fayette County School District. My teaching experience includes vocal, instrumental (band and orchestra), keyboarding (recording), and marching band (Assistant and Director). I have taught on both the elementary and secondary levels. To sign up for lessons with Deborah, click here. As I reported to you in May, Willis Music is connected to the show Big Bang Theory through the song Warm Kitty. Sheldon’s Mother used to sing it to him when he was sick and through 9 episodes Sheldon convinces others to sing the song to him. Willis Music owns the song which is in a book from 1937 called Songs for the Nursery School. As the song and show have become more popular we decided it would be fun to produce a separate sheet of music based on the original song. The challenge for any arranger is that the original song contains just 8 measures. Several folks tried their hand at it before we turned to Composer Glenda Austin to take on the challenge. Glenda is world famous for her educational piano music. Glenda continues to create music that helps teachers inspire their students and encourages students of all ages to practice by giving them music they enjoy playing. Glenda has recorded her music and the music of composer William Gillock in Nashville with a visiting Japanese recording team. She later toured Japan playing and teaching to the delight of hundreds of Japanese piano teachers. You can see Glenda’s music at by clicking here. I recently spoke to Glenda about her project of recreating the magic of Warm Kitty. How familiar were you with the song and the show before we asked you to get involved? 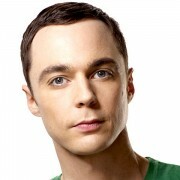 First of all, I have NEVER watched Big Bang Theory. Heard of it, yes, but never tuned in. However, since the Warm Kitty, Theme and Variations project, I’ve seen excerpts online, mainly the clips where Warm Kitty is sung. I may have to start watching it! When you agreed to give it a try what was the process you went through? 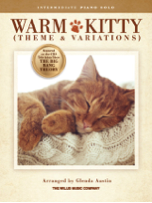 When asked to arrange Warm Kitty, of course, my first thought was to learn it (since I was not familiar with the tune)! IMMEDIATELY after seeing and hearing it, I realized I would have to put on my thinking cap to create something from 8 measures! That’s not a lot to work with, especially when you’re trying to turn it into a ‘stand alone’ solo! Naturally, the first thing that came to mind was a THEME and VARIATION. And having just done some of John Thompson’s Theme and Variations at my workshops this summer, I knew that was the way to go. I’m not a terribly competitive person, but occasionally, I like a challenge. And the challenge here was to see if I could really come up with something substantial! Once I focused on the project, it materialized quickly. Improvisation is how I compose. So that’s how 8 measures grew into 128 measures of a waltz, tango, jazz and more! Be one of the first 5 people to post a comment to this blog and receive a free copy of Glenda’s Warm Kitty. We recently received a note with pictures from Mr. Takayuki Nii who is the editor for Zen-On Music in Japan. Zen-On has represented the Willis catalog in Japan for decades. Mr. Nii attended the 25th anniversay of The Gillock Association of Japan. 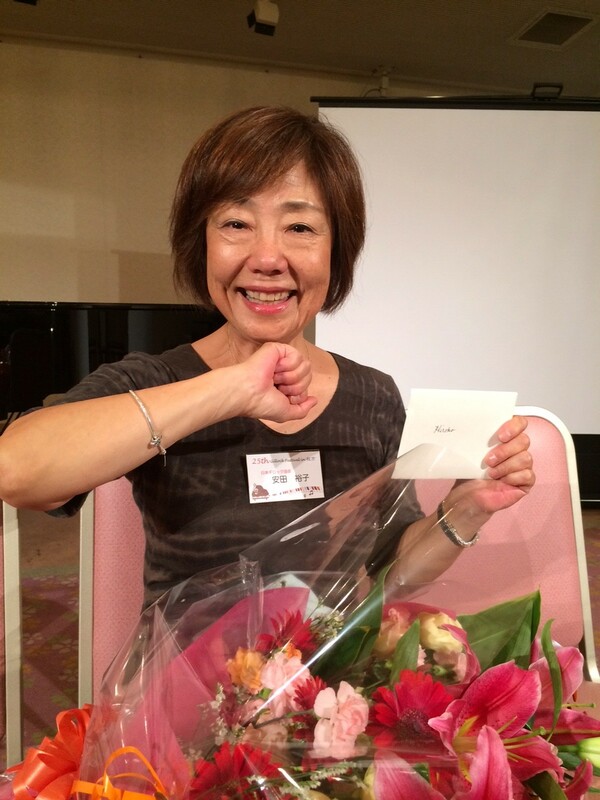 Willis Music sent a special gift for Ms. Hiroko Yasuda as a thank you for her support of our Gillock books in Japan. Ms. Yasuda founded the Association and has done a tremendous amount of research on Bill’s life and music. I attended the reception for the 25th anniversay of the Gillock Association of Japan (chairperson Ms. Hiroko Yasuda) in Osaka on the 29th of August. One hundred members were there from many areas of Japan and the party was really successful. We were able to share Gillock’s music through talking to each other, playing instruments, and dancing. 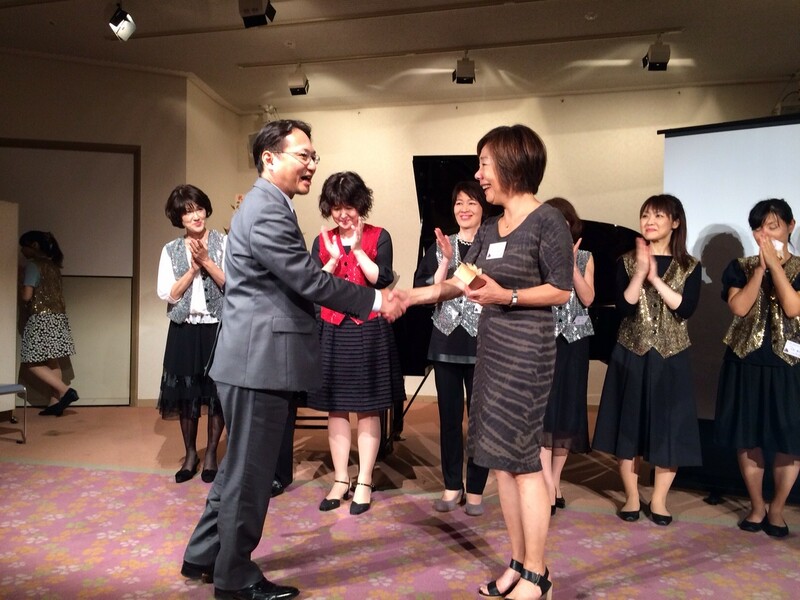 I gave Ms. Hiroko Yasuda the gift from you on the stage. She was so excited and glad to have it and all the participants were impressed by your thoughtfulness. The year after next is the 100th anniversary of Gillock’s birth. 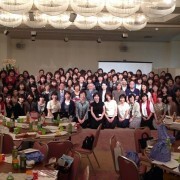 Zen-On will do its best to get many more Gillock fans, in cooperation with the Gillock Association of Japan. Thank you Takayuki for sharing all the great things happening with Willis publications in Japan. Zen-On is the largest specialist music publishing company in Japan. Their publishing house was founded by Teiji Shimada in 1931 in Tokyo, and the private enterprise was reorganised to a joint-stock company on September 13th, 1947. Since the foundation, they have been distributing, particularly, educational materials not only music, but also intruments which are fitted, right, secure and good quality for the educational purposes. solo recital in Chicago was broadcast live on WFMT public radio. Chicago, Austin, Fort Worth, Indianapolis, Alberta, Seoul, and Jakarta. Faber is a Steinway Artist. International Conference on Motivation in Lisbon, Portugal. throughout North America and Asia. the piano. They are co-founders of the Faber Piano Institute. Fall is the perfect time of year when the heat of summer has past, the leaves are full of color and the crispness in the air wakes you up. The pools are closed so if you are looking for an outside event, why not support your local School Marching Bands by attending a contest. You will hear and see great bands along with some really good hot chocolate, carmel corn and there is always something good to eat. The fee at the gate supports the music programs and we all talk about the importance of music in our schools so lets get up, get out there and attend a contest and support them financially too! Northern Kentucky Marching Band Festival held at Campbell County High School in Alexandria, KY on September 19th, 2015. 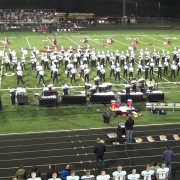 Tournament Of Bands held at Ryle High School in Union, KY on September 26th, 2015. Mason Marching Band Invitational held at Mason High School in Mason, Ohio on October 17th, 2105. I will list more as soon as the dates are confirmed. Have a great time and I will be in the stands with my blanket and hot chocolate rooting for my favorite bands! If you know of any marching band competitions please reply with the name and date and I will get it posted. One of the most interesting trips my wife and I have been on was to Australia, although it was too short. If you schedule a trip, plan for at least a 2 week adventure. It was 3 years ago and we learned so much about the country even though we were there for only 6 days. I had the honor of speaking to 3 groups of music retailers and manufacturers in Melbourne, Sydney and Brisbane. 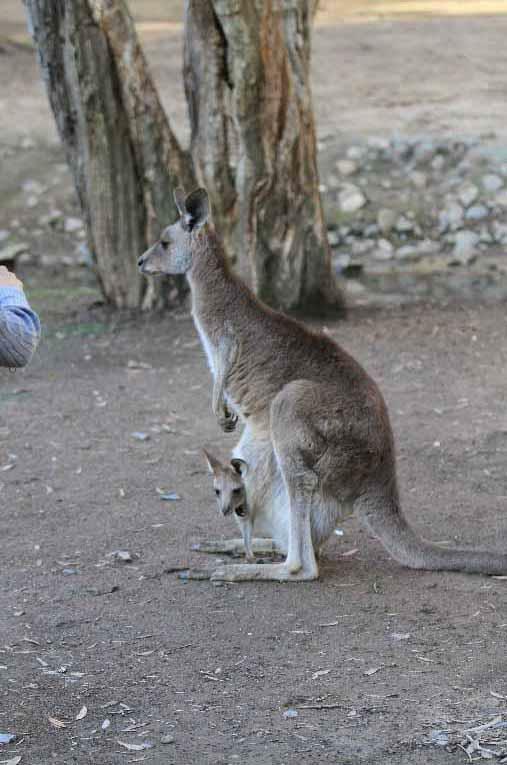 We even had the opportunity to be close enough to pet some kangaroos. 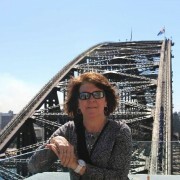 One of the highlights of our visit was a hike on top of the Sydney Harbor Bridge. You can see the hikers on the right side of the bridge dressed in blue from one of the lookouts. 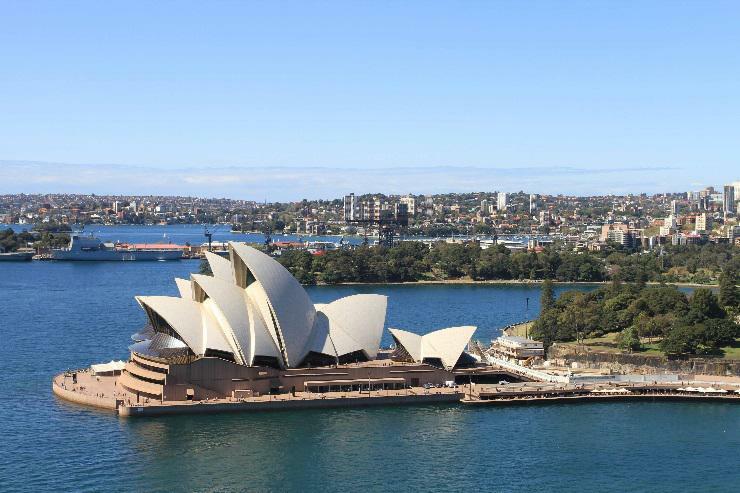 And of course, what would a visit to Sydney be without a tour of the famous Sydney Opera House. As many of you know, Willis Music publications are used and produced all over the world. One of my projects this year was to secure the future of Willis Publications in Australia and New Zealand for years to come. One of the great models I inherited from my father was to find a very capable partner in other countries and let them market for the company. The reason I mention this is that being a smaller company there is no way I can effectively learn the intricacies of each market and sell our product efficiently or effectively without the help of that capable partner. This year I had the difficult decision on deciding which company would represent Willis for the next few years. I’m pleased to say that Hal Leonard Australia will accept that responsibility and I’m very excited. We have always been represented in these important markets very effectively and I believe Hal Leonard is the right choice to carry on. As in other parts of the world, the Willis piano methods are the bestselling methods in their market – names like John Thompson, Edna Mae Burnam and many others. Hal Leonard also represents Willis in North and South America and many other parts of the world and I look forward to using that collaboration to fully serve the Australian/NZ market. Music Sales Corporation has represented Willis for many years in the European Union and recently they have been extremely active in developing new products and translations. The bestselling piano method book in Europe has for years been the Easiest Piano Course by John Thompson. It is printed in many languages and just this summer Italy is getting their own translation. One of the most interesting aspects between books in America and Europe is the different notation. Music is the universal language yet in Europe they have different names for some common notations. I think we all remember that old Staples commercial showing parents gliding through the store on a shopping cart while the song, “It’s The Most Wonderful Time Of The Year” played and the kids look as though their best friend just moved away. “Well, it’s back!”, or at least it’s on it’s way, “Back To School will be here soon”! ?As you start to look for those back to school cloths, shoes, backpacks, paper and pencils, remember your child’s music supplies. 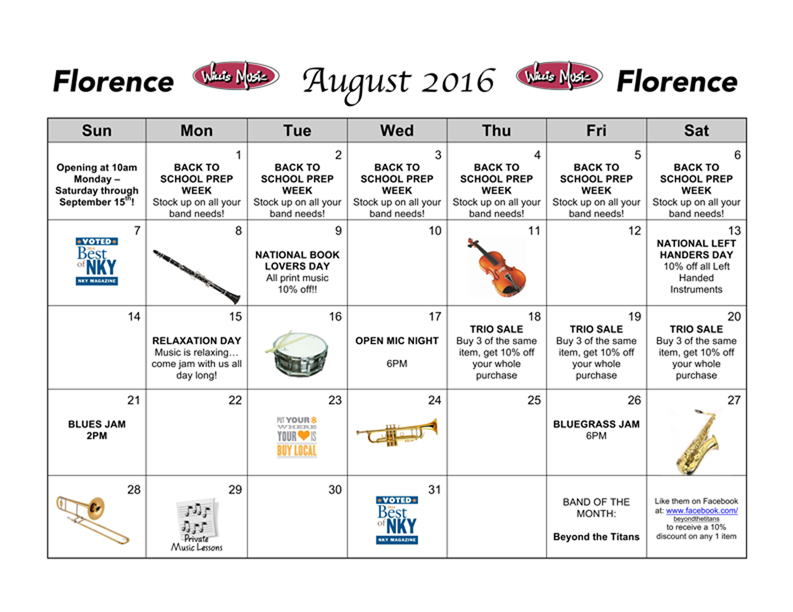 Willis and Moeller have all your band and general music supplies in their stores and they are ready for the season. Items like reeds at 30% off and recorders at $4.99. You can’t beat these deals anywhere! ? Oh, and don’t forget your marching band student. We have lyres, folios and plenty of drum heads! Just remember, even if you have everything you need we are here to support you and your child. Whether your child is a beginning band student, their first time on the field or going for their Music Ed degree, let us know when we can help along the way. I hope everyone has a great 2015/2016 school year. 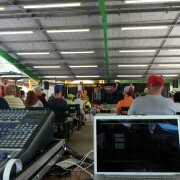 I just completed my third year of running sound at the Appalachian Festival. The Festival is a three-day event held at Cincinnati’s Coney Island. 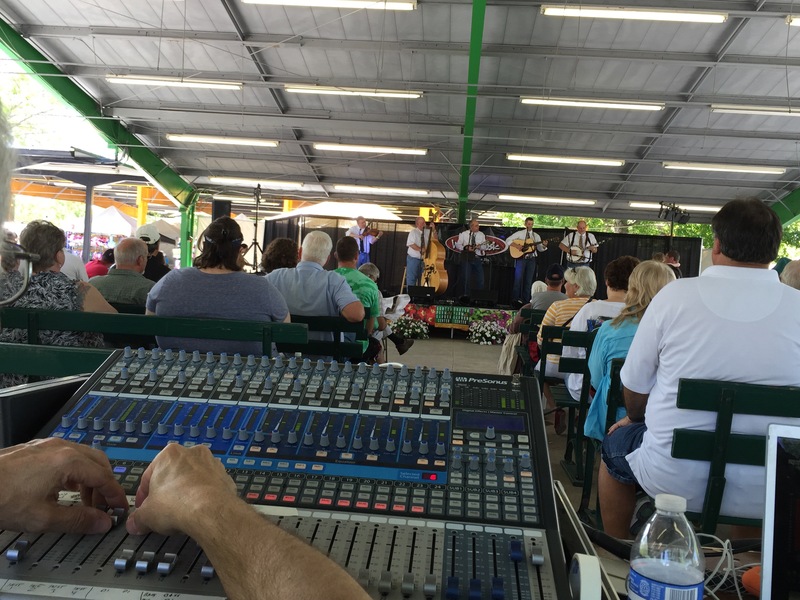 I’ve had the opportunity to mix sound for some great bluegrass and Appalachian concerts in the last three years. 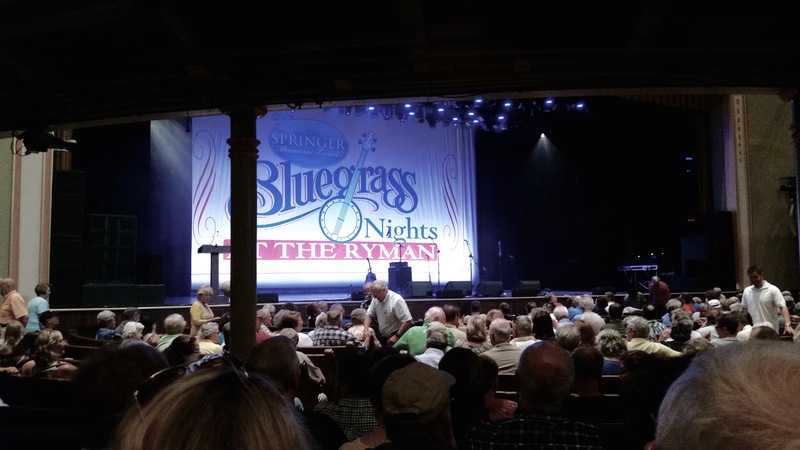 Reflecting back after a month or so, I began wondering: why Cincinnati and bluegrass music? I know bluegrass has a strong presence in the area. I also wondered, what is the purpose of the Appalachian Festival? With this in mind I started to do some investigation…. First, let me tell you about this year’s Appalachian Festival. Willis Music is proud to sponsor it for the 4th straight year, and along with Ric Hopkins from The Sound Workshop, I have run sound for the last 3 years. There are two main stages of the festival, where we use state of the art equipment like QSC K Series speakers and Presonus mixers. 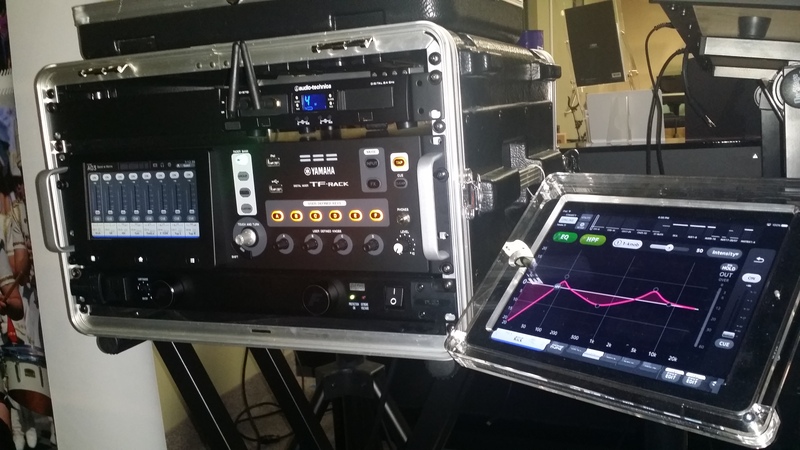 We can set delays and balance the sound so it is pleasing to listen to, while being able to hear the clarity needed for bluegrass music. The Appalachian Festival is always on Mother’s Day Weekend and runs for three days. Music goes from 10 in the morning until 9 at night (groups play a 1-hour show with 15-minute breaks for setup). As you can see, there is a ton of music for people to enjoy. Some of the groups that played this year are: Rabbit Hash String Band, Sternwheelers, Pops & Patriots (Big Band Swing), Missy Werner, Appalachian Grass, P’s in a Pod, Good’le Boys, Retread Bluegrass Band, Wayfarers, NightFlyer, Dry Mill Road, Black Water, Steve Bonafel, Haddix Family Gospel, Evan Lanier & Bluegrass Express, Ma Crow & The Lady Slippers, and Oberst & Dowel. 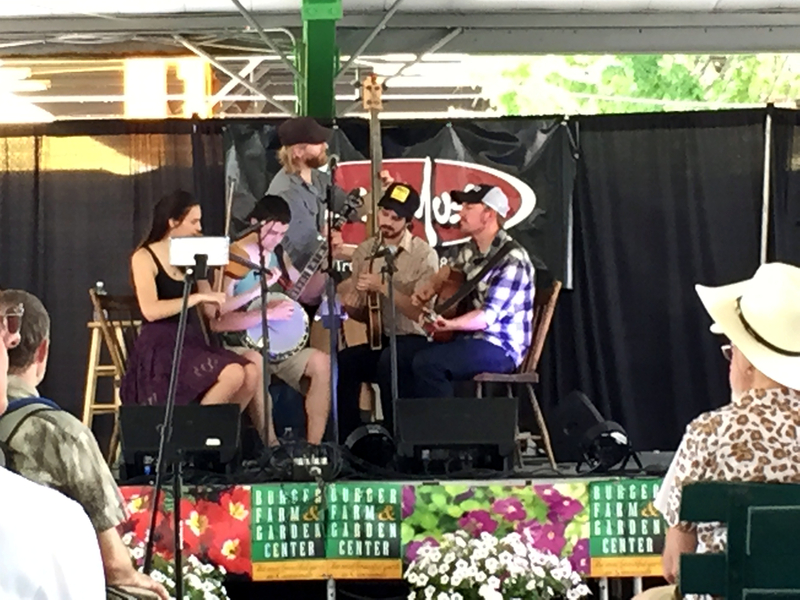 The last show on Sunday is always a real treat – the Bluegrass All Stars play as the house band, and all the other groups come back in a festival review concert. Besides music, there is a living history section with Indians and Mountain people that teach on the old ways. There are lots of craft booths to pick up the perfect Mother’s Day present. Story tellers tell great stories with an Appalachian flair. And let’s not forget about some amazing food. A man was sitting at a picnic table eating his lunch. Sitting on the ground was a dog. A little boy walked up and ask “Mister is your dog friendly?” and the man replied, “Yes my dog is very friendly!”. The little boy reached his hand out to pet the dog and the dog growled and snapped at the boy almost biting him. As the little boy jerked his hand back he spouted, “Mister, I thought your dog was friendly!”. The man replied, “ He is friendly, but that ain’t my dog!”. 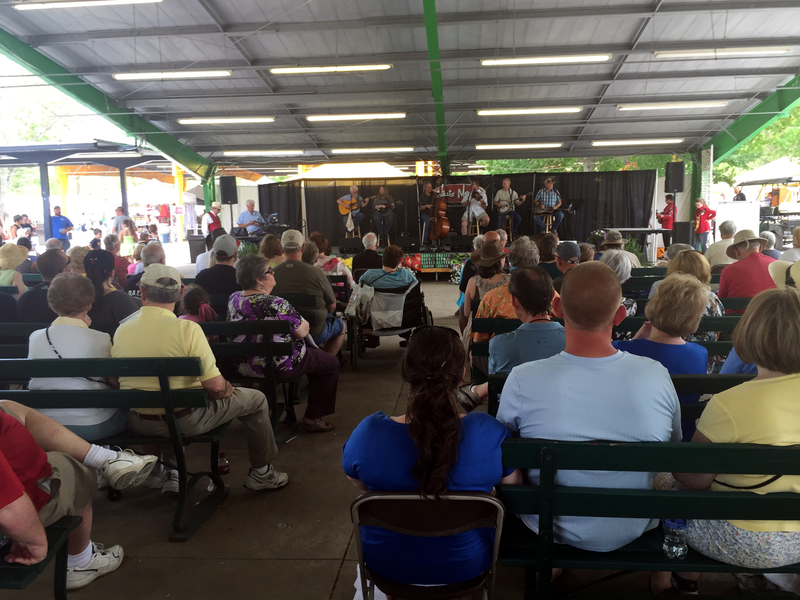 So what is the Appalachian Festival all about? It is about supporting the people from Appalachia. They raise money from the festival that then gets returned in the form of grants to help schools, community centers and artist studios throughout Cincinnati and Northern Kentucky. So far, the Festival has raised $150,000 for the Appalachian Community Development Association (ACDA), which administers these grants. Willis Music is grateful to be a part of keeping the Appalachian culture healthy. Another great local artist that I have became very fond of is The Missy Werner Band. I have mixed sound for them at least 8 times, own 3 of their albums, and just enjoy the sound of Missy’s voice. If you are at a show that I am mixing, you will hear me use one of her albums during set-up. 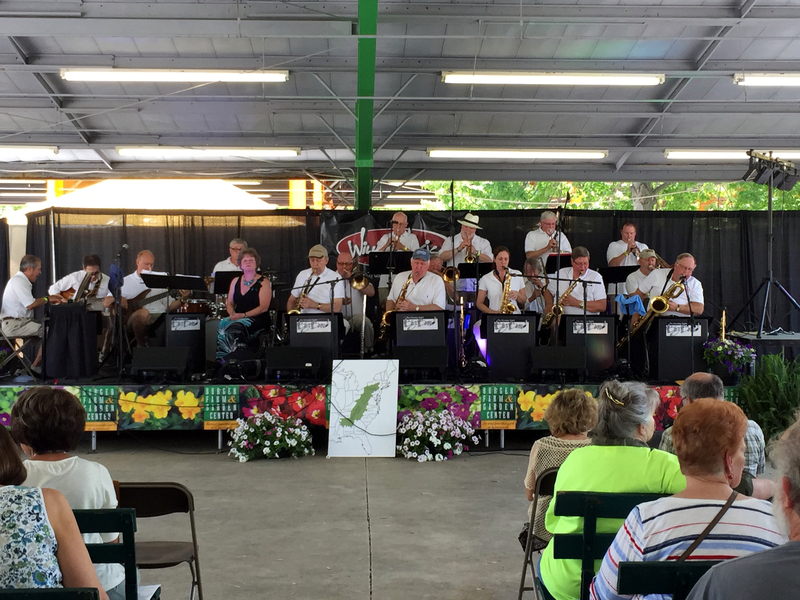 The Appalachian Community Development Association formed a partnership with Willis Music to enhance the music at the Appalachian Festival on Mother’s Day weekend each year at Old Coney Island. 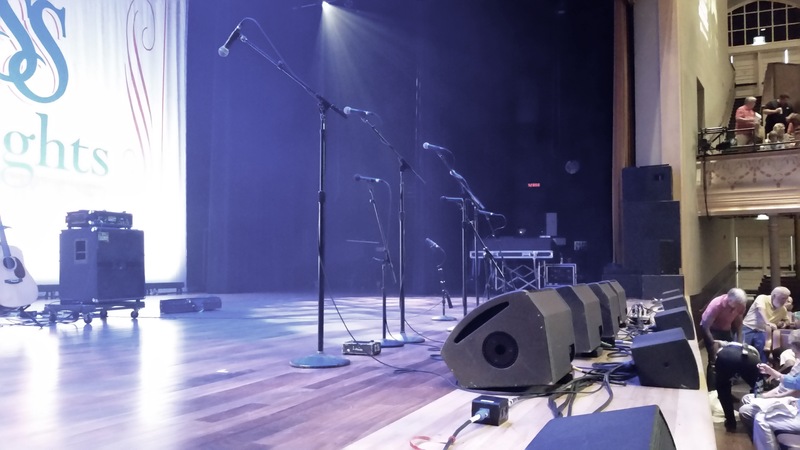 By providing excellent PA equipment for the music and Storytelling venues, the patrons have come to expect the great value added sound provided by Willis Music. The ACDA, a 501-3c was formed over 46 years ago by the Junior League of Cincinnati for the purpose of helping Appalachians and their descendants adjust to the urban life, far from the hills of Appalachia. It is hard to believe that after all these years the need for this help is still needed in urban as well as rural communities both near and far from Cincinnati. Recently the board of ACDA, an all volunteer staff, narrowed the focus to accommodate other 501-3c groups who provide food or education directly to those in our Appalachian region who desperately need help. Our Festival itself works very hard to provide a learning environment through entertaining events, displays, music, storytelling, crafts, demonstrations and living history. The story of Appalachia and its legacy in our region must be told and remembered. The Festival is the sole income provider for the ACDA. Without the participation from our friends such as Willis Music, Kroger, Messer Construction, Midwest Polaris, Burger Farm and Garden, and Edudoc, our funds would be very small indeed. Please know that patronizing Willis Music assures this valuable participation will go on for years to come. We thank the management and staff at Willis Music for their time and effort at helping others in our Appalachian Community. Visit the Appalachian Festival website to sign up for a grant, and learn more about the festival itself. 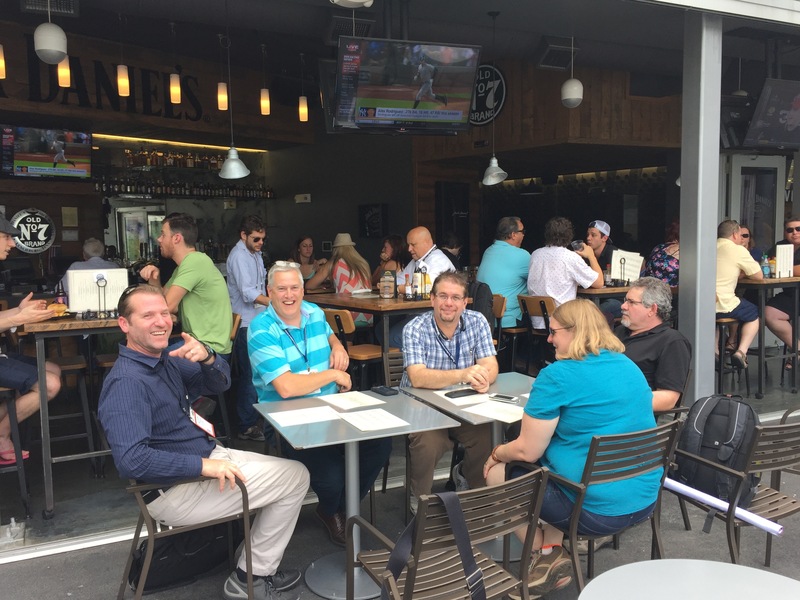 Earlier this month, I traveled to Nashville for the NAMM (National Association of Music Merchants) Summer Conference. While there, I had the awesome opportunity to visit the Ryman Auditorium. 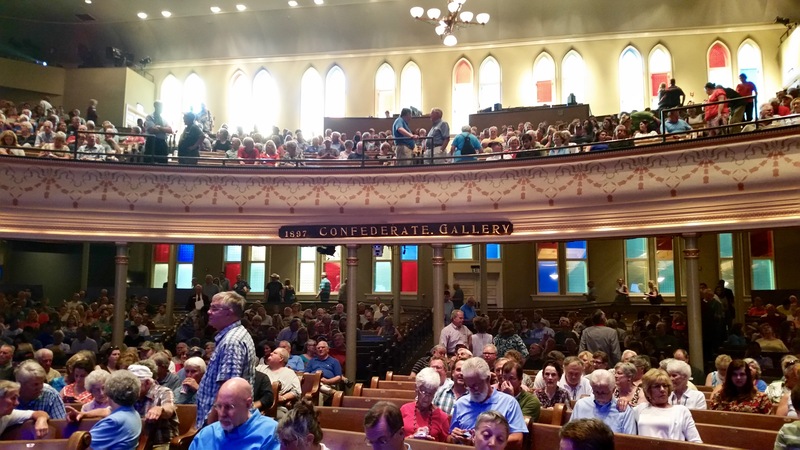 The Ryman Auditorium is the original Grand Ole Opry. What an experience of great music and history. The Ryman Auditorium is located right in the middle of Nashville, where you can get great barbeque and great music in every 20 steps or so. If you have never been to the Ryman, it is an experience. You might never guess that this building is an amazing concert hall, because it is a repurposed church built in 1892 as The Union Gospel Tabernacle. It seats 6000 after the Confederate Gallery balcony was completed in 1897 for the Confederate Veterans Association. Every seat in the Ryman is still an original pew installed by The Indiana Church Finishing Company. 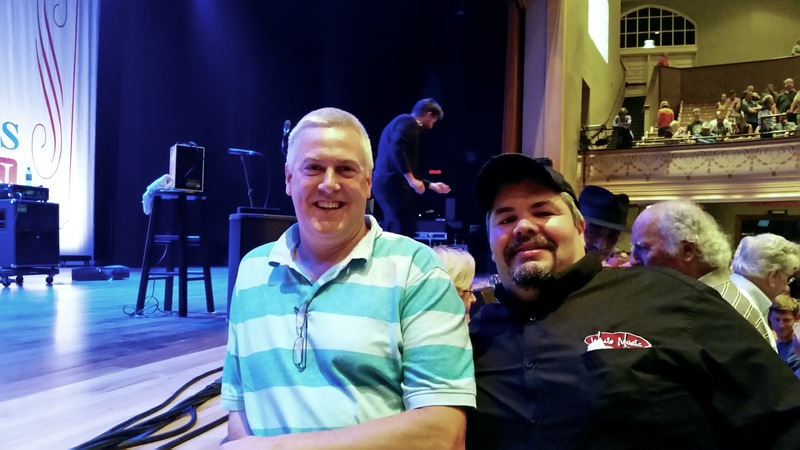 So if you are going to a concert, you may want to take something soft to sit on or purchase a Ryman seat cushion on your way in. The Ryman has had many speakers, such as Teddy Rossevelt, Helen Keller, and Charlie Chapman. Harry Houdini and Will Rogers have also performed at the Ryman. The Grand Ole Opry officially moved to the Ryman in 1943. The concert I attended was Hot Rize and the Gibson Brothers. I have to say after walking in I was like a child in a daze on Christmas morning, because I knew I was going to see and feel something special. It was almost like sensory overload. The Gibson Brothers performed first and when the sound came on it was like, WOW. The sound was so smooth and clear. I could here every note of every instrument as clear as sitting in my living room. I know The Gibson Brothers are a great traditional Bluegrass band but there is something magical about the sound in the Ryman. It’s almost like it has a soul of its own. During intermission I got up and walked around and found my way up to the stage and looked around at the sound equipment (Kind of geeky that way) and when I turned around and looked back at the pews I couldn’t imagine what the artist emotions were like because of how I felt as an audience member. The other great thing about the Ryman is everyone in the audience is happy and just as overwhelmed as you are. I met an awesome man from Canada that wore an American Flag bandanna on his belt loop. 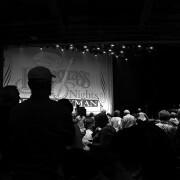 This was his second time to the Ryman this year. He had to come back and bring his son because of the first experience he had with his wife. If that doesn’t explain the magic, what does? Hot Rize was the second band that played. They also had a great sound and are great musicians. They are not a traditional Bluegrass Band, but nonetheless unbelievable and a joy to listen to and watch. What I noticed from both bands was they were so honored to play in the same place their role models had played. They were just as taken in by the nostalgia as I was, which drew me in to be part of the show rather than just an audience member watching a show. I think the music could have been less than amazing and I still would have had an unbelievable time. If you have a chance to go to Nashville, make The Ryman Auditorium a must stop. Take in a little music history and feel the power. Words of telling someone can not explain the feeling. 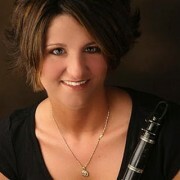 Willis Music would like to welcome Angela Pontious to Mariemont and our band director family! 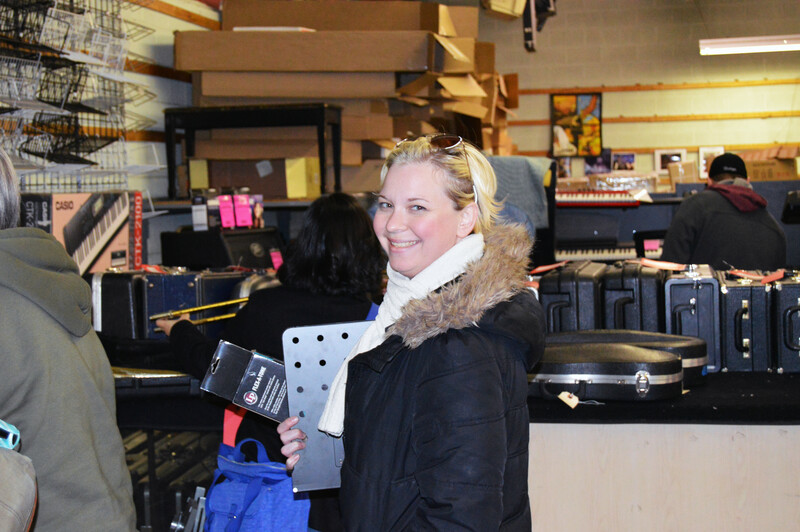 Angela has over 10 years of teaching experience as Director of Instrumental Music & Performing Arts Department Chair at Highland High School in the Salt Lake City School District in Utah. There she instructed concert band, marching band, jazz band, percussion ensemble, string orchestra, chamber orchestra, beginning piano and music theory. Her performing groups have participated in region and state events and have consistently earned excellent and superior ratings. Man, where does she find the time? Angela earned her Bachelor of Science degree in music education from Ball State University and her Master of Arts degree in Arts Administration from Florida State University. 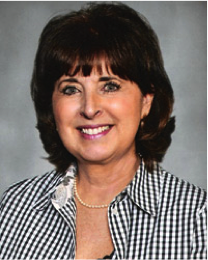 She brings a lot to the table and Willis rep Michele VanSickle is excited to help her make her first year a big success! We would also like to congratulate Rick Canter, Mariemont’s current band director, on his new position at Walnut Hills High School. Walton Verona High School, under the direction of Mr. Chris Miller, started a Percussion Ensemble Program in 2012. 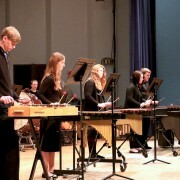 It is a class made up of percussionists and wind players from the Walton-Verona High School Band. This year the Ensemble was the featured group at the very famous “Day of Percussion” at Marshall University in Huntington, WV. They participated in a variety of percussion workshops in the morning, including several with renowned percussionist and composer Nathan Daughtrey. Their afternoon performance included Detour by Brian Blume and Millennium by Chris Brooks. A very special thanks goes out to Chris Miller for allowing us to share his successes with everyone. I’ve met some interesting and famous people in my life and this one for me was truly magical. Henry Z. Steinway represented to me one of the most honored and outstanding brands the world has ever known. He carried the family name of a product that is universally recognized as the finest, period. The year was 2007 and while attending the NAMM convention in Anaheim, I had the opportunity to travel to Carlsbad, CA to attend the dedication of the Steinway Gallery at the NAMM Museum of Making Music. (If you are ever in the area, Carlsbad is just north of San Diego and it’s a wonderful museum.) 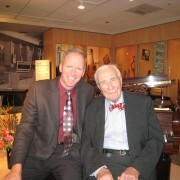 At that meeting I had the opportunity to meet and talk with Henry Z. Steinway. We had a chance to discuss his early days in the business and what being a ‘Steinway’ meant to him. Henry was born in New York in 1915 and while he was the great-grandson of the founder Henry Engelhard Steinway he didn’t necessarily have an interest or desire to enter the family business. He graduated from Harvard College and thought ‘maybe I’ll give this piano thing a try’. As he spoke about this time in his life I was reminded of my growing up in the family business (Willis) yet not really sure what I wanted to do with my life. He started on the shop floor doing whatever needed to be done and ended up working in various departments. 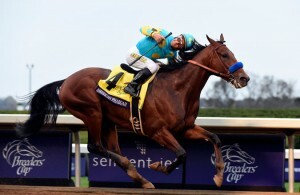 As he worked, his passion developed all the way to the recognition he received in 2007. In November of 2007, he received the National Medal of Arts presented by President George W. Bush. Henry credited his time with the Steinway skilled craftsman in his early years as more valuable than any amount of study he would have done. I think one of the more interesting periods in his life was during WWII. As the war broke out, Henry became a factory manager. In 1942, his career was paused as he was drafted and assigned to work on Governor’s Island at the Army’s Counter-Intelligence Corps headquarters. That’s when he met his wife Polly. After the war, he returned to Steinway and Sons and became president in 1955. As I sat and listened to Henry, I felt like I was experiencing a slice of American/World history first hand. I sensed a wisdom that comes from years of experiences, both good and bad. He was gracious and although there were many people at the opening, when he spoke with me he was totally tuned into our conversation, which I greatly admired. Henry Z. Steinway is missed but his spirit and passion live with me. One interesting side note is that we were in the museum that Henry was a founding member of and served as its first president. See and hear Henry in a clip from his historical interview at the museum. Notice his extreme humility. 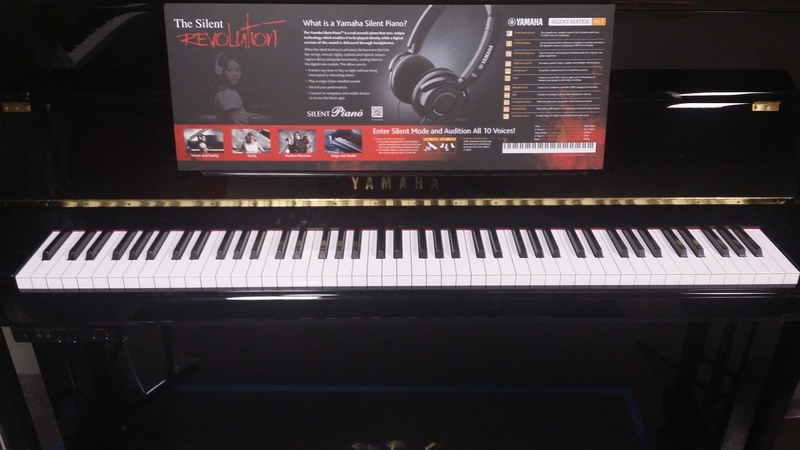 Click here to see information about Henry Steinway on the NAMM page. I do remember telling him as we finished that Willis would one day represent Steinway with great honor. Happily, we were able to reach that goal three years ago. 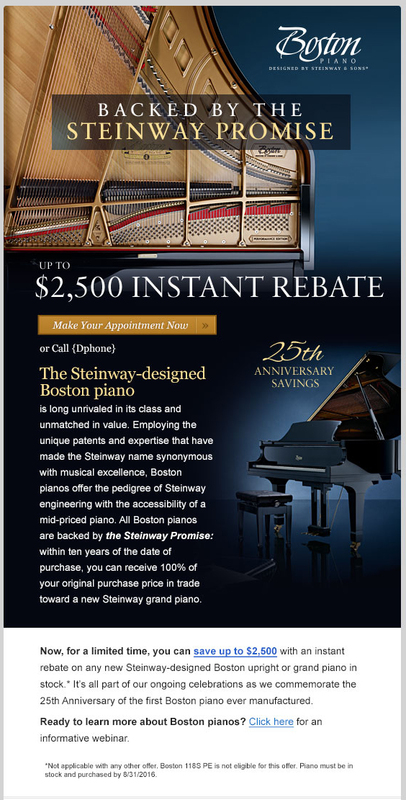 Steinway and Sons is a valued partner and we look forward to representing them in this region for many years to come.